Invention Orphanage is my new venture featuring a lot of hardware related products and services. I have 3 categories of stuff for now. Here are an example use of the thermal imaging system I built. 1. The picture above is outside of my apartment. The place has been having a lot of leaks in the roof during the rainy season. They replaced the ceiling of the part of the roof that extends over the wall. Instead of the old plywood it’s now galvanized iron sheeting. 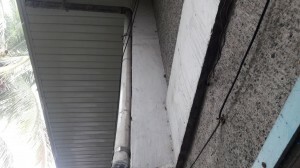 They also replaced the gutter where the water flows into the drain pipes. Part of their tests was to just pour a bucket of water down the gutter to see if there are any visible leaks – they key word here is “visible”. No leaks were seen. 2. 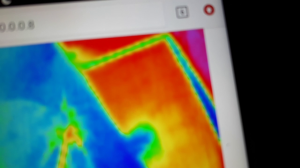 Using the thermal camera I took a picture during the test and This is what the thermal camera revealed. The green and blue blue spots show temperatures cooler than the red. Notice the blue area in the ceiling. 3. 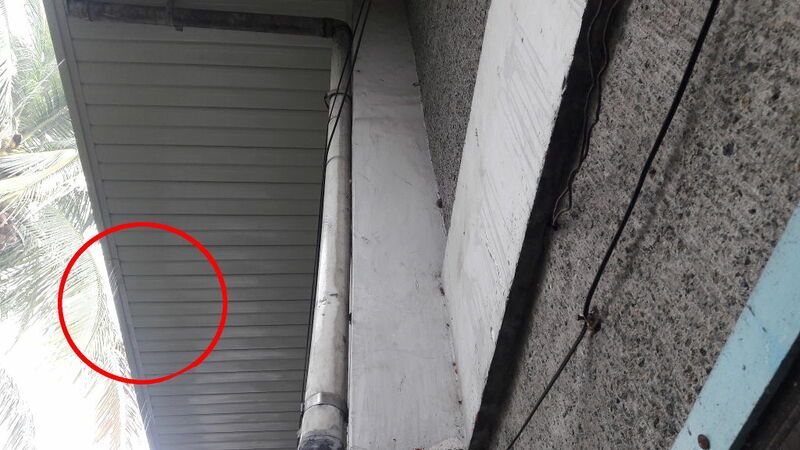 This indicates a place where the gutter is leaking water onto the ceiling. 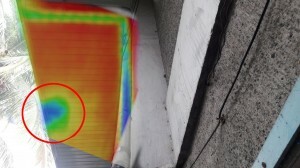 Because it’s just a small quantity of water no visible leaks occur but the thermal camera detects the small change in temperature caused by the leak. This means problems like this can be detected early and fixed at a much lesser cost. The fix can be done while the workers are still there. In this case no they did not fix it. They just said it was ok since there were no visible leaks. Until weeks later when the water started flowing to the inside wall of that apartment unit. That’s when they fixed it – at a much higher cost since they had to get workers again, setup the ladders to go to the roof, etc. etc.